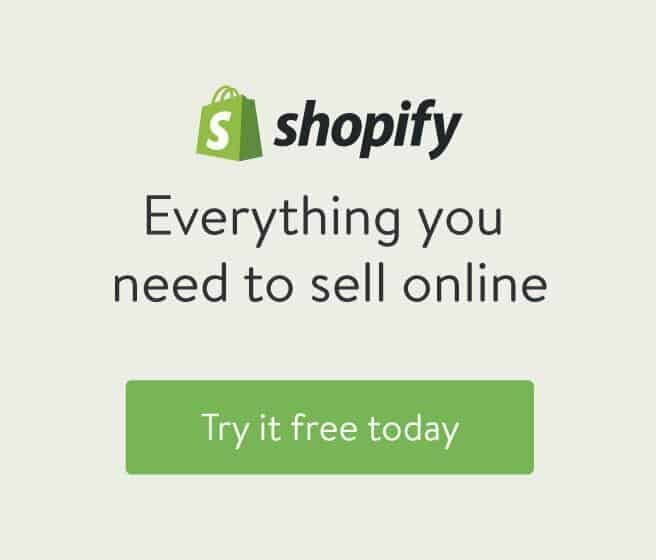 Hosted, customized, staffed, and priced for big brands, Shopify Plus is Shopify’s enterprise eCommerce platform for large and growing online stores and brands. Based on my experience using the platform, working with marketing directors, and consulting with several enterprise-level eCommerce brands that use platforms ranging from Magento to proprietary platforms, this is my Shopify Plus pricing and review. Many of my readers, ranging from DIYers to small business owners just starting out and marketing leaders, often seek innovative marketing strategies to rapidly grow their brands. Further, there are a couple of common questions that seem to loom within each of those groups: What do you do when your eCommerce store is big? How do you keep the same agile marketing infrastructure when you’re at the enterprise-level? That said, in my review, I will cover Shopify Plus specifically, hosted platforms, and the advantages and disadvantages of enterprise eCommerce solutions. When it comes to eCommerce platforms, the key difference between a hosted and self-hosted platform is the hosting part. Let’s start with self-hosted platforms. Typically, on a server you own, most of the websites are run by installed software and are built from the ground up. You take on the responsibility of not only maintaining the website, you’re also accountable for all of the consumer-facing parts of the website. On the other hand, hosted (SaaS) platforms are deemed ‘platform as a service’, meaning the software and server are sold as a complete package. You’re only concern is the consumer-facing aspects (ie. design, marketing, etc,.). The platform provider takes on the website maintenance role. Additionally, hosted servers are customized to work perfectly with the software platform and the software is meant to be simple to use and integrate. In the hosted eCommerce enterprise space, there are three BIG players – Shopify Plus, Oberlo, BigCommerce Enterprise, and Magento Enterprise. There are several other major platforms such as Demandware, Hybris, and an entire universe of .NET providers in the enterprise space. But personally, I look at those competing mainly from an operational/IT standpoint. Also, I think they are competing for an organizational IT commitment to the likes of SAP or Salesforce, rather than as a scalable eCommerce solution. The Plus option and other SaaS platforms are known for pricing predictability. Shopify Plus pricing, in particular, begins around $2k/mo and increases are dependent upon your specific needs (ie. traffic increases, customizations, feature implementation, etc. ); pricing remains constant from your initial sign-up. Many enterprise-level companies find the price tolerable when compared to the combined costs of hosting, fees, feature requests, change implementations, bug fixes, and web developer retainer. Losses in time and resources can be a major stumbling block when attempting to operate an enterprise eCommerce store. If your core expertise is not web development, your focus will stray away from aspects that affect your bottom line – product development and marketing. In my opinion, Shopify Plus price is beneficial. It not only eliminates some of the friction associated, it’s also part of a global network that tends to servers, feature implementation, order management, bandwidth, and more; the things that you should not have to agonize about. One of my clients was able to take advantage of Shopify’s perks when they hired me. Suffering from poor organic visibility, one of the world’s largest seasonal brands had just transitioned to the plus platform, four weeks prior to Black Friday. The transition enabled them to allocate focus on marketing resources, such as hiring me for SEO, while such tasks as load-testing servers, fixing checkout bugs, evaluating traffic levels, as well as other tasks were taken care of. Those kind of platforms have helped businesses shift costs from developing and maintaining eCommerce sites to product, experience, and marketing innovation. Having a dedicated account manager or a sense of predictable support is another benefit of using Shopify Plus, and other big SaaS eCommerce platforms like Bigcommerce. Unlike a project manager, a dedicated account manager manages your full account, from development to bug fixes and billing. Also, the Plus option gives you access to a specialized development team working on a single platform, which is advantageous when rapid bug fixes, feature clarification, or account support is warranted. Agile marketing, the process of gathering feedback and implementing it quickly, is no doubt a necessity. Some of the most innovative and successful digital companies utilize it. But, it requires the right set of tools. Better yet, it requires having access to the right toolsets without needing assistance from a developer. This is where SaaS enterprise eCommerce platforms like those, and good competitors like BigCommerce come into play. The Plus version is built with the marketer in mind, providing a host of standard tools marketers actually look for. The last project I worked on using this platform, I was able to implement key recommendations with an hour of approval. Furthermore, this platform has an internal development language called Liquid, which enables front-end changes at the store level, unlike many hosted platforms. Reliability and scaling traffic are likely to be the number one worry for a business or brand running an eCommerce website. Ensuring your customers and/or potential customers are having a seamless and friction-free experience on your site is imperative. With that said, your attention should be on marketing and inventory, not fretting about servers and if they are running properly. Instead of asking, “Can people access my site and properly checkout?” As a business owner or brand, you should be thinking about growing your business. What type of messaging should be on the homepage? Are our visitors converting as predicted? Do we have enough inventory to fulfill orders during the upcoming holiday season? This leads me to say that enterprise level clients benefit most from allowing a vendor with proven expertise in server architecture to deal with reliability issues. Supplemental to agile marketing tools are their API, integrations, and extensions that are both robust and well-vetted. From built-in integrations to an app store ecosystem of various extensions, this system is extensible and add-on friendly. This platform has built-in tools allowing rapid deployment of international sites with all the geo-targeting, currency, and language options – clearly a valuable feature. My experience with a client wanting to accelerate their launch into Ireland, speaks to this. Instead of using a more traditional international launch with a customized, from-scratch website, we used Shopify’s platform. While it may seem as though eCommerce platform is a perfect choice, it has several disadvantages. Regrettably, I’m here to tell you that there is no such thing as the “perfect platform”, so it’s only fair to discuss some of their limitations. This will give you a balanced look at what you may or may not need. If you’re looking for a complete, feature-rich content management system, this platform will not fit the bill, as it is a full-fledge eCommerce platform. Even so, it does offer a number of helpful content-related tools such as a page management system and built-in blogging tools. You can also build out a publishing or information-rich website that can compete in a content marketing world. But, it is no match for, say, WordPress. Just as there are content limitations, the plus option presents a few backend development limitations. One of the main things that needs to be addressed is the compatibility of Shopify’s API. When choosing inventory and fulfillment providers, you must ensure their information properly integrates with their backend code. Due to being a hosted platform, integration may or may not be possible at times, which could be an obstacle. On the bright side of things, a account manager may be able to help you conquer that obstacle. If you’re interested in how customizable this platform is, check out their excellent explainer. While a hosted platform presents a remarkable number of benefits, it may be wise to really evaluate the pros and cons of being locked into their platform. Self-hosted platforms give you nearly 100% control when it comes to backups, running open-source software, or migrating to another company. It’s a different story in comparison to hosted platforms. For instance, say you want to close or migrate your store from SF to a new platform. You would have to rely on the data that this platform provides you. Or, what happens if it simply folds. How would you recover all the necessary information needed to rebuild? This is just something I think you should consider before making a concrete choice. The Plus option provides a plethora of tools, however, there is a learning curve; developing some in-house Shopify pricing expertise is a necessity. The wonderful thing about this self hosted platform is that the API and front-end customization language, Liquid, allows you go above and beyond the typically hosted platform. The downside, a level of knowledge is necessary, which requires training. You can read more about that in our full Shopify platform review. Now, this does not necessarily mean a developer needs to be hired, but what it does mean, is that this platform is not a drag and drop – push and play platform. Therefore, some familiarity needs to be in place. The unique training involved in using this platform may pose a bit of stress, especially if you’re doing RFPs in addition to purchasing the Shopify Plus license. While I’m not well versed on their enterprise level versions, I do have experience with two of their biggest competitors, Magento and BigCommerce. Small and rapidly growing, BigCommerce is one of Shopify’s main competitors in the hosted platform space. For an in-depth look at BigCommerce, read my review. Unlike Shopify, BigCommerce’s core focus is online stores and integrating lots of features directly into your dashboard. Both are differentiating factors, separating Shopify and BigCommerce. Depending on your needs, BigCommerce’s enterprise pricing, starting around $1k/mo. will increase. Check out BigCommerce Enterprise and request a demo here. Magento, popular among developers, is one of the oldest, most well-known eCommerce platforms; their main product is self-hosted open source software. Starting at $18k/yr, Magento offers Magento Enterprise, a custom hosting solution, accompanied by account support. Click here to check out Magento Enterprise and get a demo. Due to the flexibility and scale offered by Shopify, many eCommerce stores are on the cusp of “enterprise”, but question if upgrading in actually necessary. Keep in mind, if you’re on a Pro or Unlimited plan and your traffic level increases to millions, you’ll likely be contacted and pitched.